Next to the rest of the UK and the Republic of Ireland, Northern Ireland is often forgotten as a vacation destination. Nevertheless, it’s a beautiful country that has a lot to offer tourists of all different kinds. Natural sights, man-made wonders, and interesting cultural attractions provide plenty to see and do. If you visit you may just decide that you want to go back one day and spend even more time there. For now we wanted to point out a variety of things to do around this small but fascinating country. 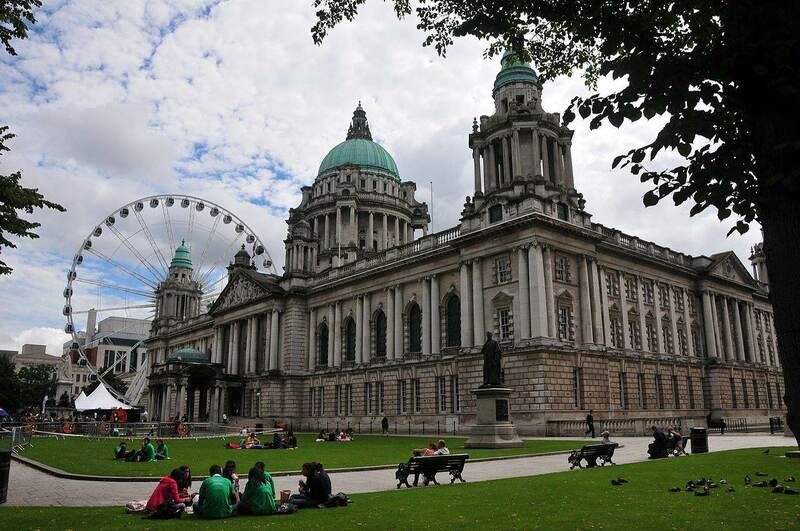 There’s a lot to see and do just in the capital city of Belfast. But perhaps above all else the city is known for its rich history within the music industry. This is something you can easily get into as a tourist, both by way of live music and historical exhibitions and tours. The city is speckled with great venues to catch modern bands, many of whom do justice to the rich tradition in town. Limelight may be the best known venue to find a rock or indie band, but you have other options as well. The Black Box near River Lagan can have excellent live performances as well, and The Belfast Empire Music Hall makes use of a transformed Victorian Church as a music (and comedy) hall. If you’re interested in the history of Belfast’s connection to music, particularly in regard to the rock industry, there are also specific attractions and tours to enjoy. The Oh Yeah Music Centre is worth a stop, as it frequently hosts events showcasing bands from the UK, and is effectively a museum to the city’s music history. You can also take a bus tour of the city with a focus on musical history and venues. Whether you’re a serious golfer or you’re just looking to try it out and see how it suits you, Northern Ireland is one of the best places in the world for it. The courses are known and respected by amateurs and professionals alike, and many of them are extremely picturesque. If you want to play the more famous courses (like Royal County Down and a few others) you’ll need to reserve a tee time well in advance. But it’s worth looking into if the idea of a day out on the course sounds appealing. It’s amazing what’s happened to American author George R.R. Martin’s sprawling fantasy series. The first books were written back in the ‘90s and went largely unnoticed outside of fantasy circles for roughly a decade before catching on in a major way. Now the book series “A Song Of Ice And Fire” has spawned a gigantic franchise better known as “Game Of Thrones.” It wasn’t just adapted as a hit HBO drama. There are toys, spinoff books, cosplay events, and video games based on the franchise. Even within the video games, the impact is spread out. While there are typical mobile and console titles, players can also enjoy a Game Of Thrones slot reel among several slots themed after TV shows, movies, and celebrities that appear at internet sites. Game Of Thrones is everywhere these days. But the show is probably the most popular branch of the GoT empire, and you can get closer to it than you ever imagined in Northern Ireland. Croatia gets a lot of attention as one of the primary filming locations, given that the show’s creators effectively transformed Dubrovnik into the fictional capital city of King’s Landing. But you can tour the larger world of Game Of Thrones in Northern Ireland. There you’ll find landscapes used in filming as well as Paint Hall Studios, where many of the interior sets are designed. You’ll also get to check out Castle Ward Estate in Strangford, which is the basis for much of the Winterfell setting in the show. You’ve likely heard of the Giant’s Causeway, even if you haven’t specifically researched travel to Northern Ireland. It’s the country’s most stunning natural attraction, and arguably one of the more puzzling structures you can find in the natural world. The column-like basalt formations look as if they must be man-made, in fact they almost resemble something out of the video game Minecraft! But the Giant’s Causeway isn’t even the only attraction worth your attention in the area. To that point, Planet Ware counted the Causeway as the number one-rated tourist attraction in Northern Ireland, but quickly noted the broader Causeway Coast as the second item. There are beautiful beaches and dunes, a few places to swim if you don’t mind very cold water, and even some interesting castle ruins just inland. If you like the idea of natural beauty and you don’t mind a remote getaway, it can be a lot of fun to take the ferry across the Sea of Moyle to Rathlin Island. The island represents the northernmost part of Northern Ireland, and is supposedly home to under-200 people, despite being a six mile-long island. It’s amazing to explore, and also interesting to learn more about. Its history includes the tale of Robert the Bruce, a Scottish king who was driven north to hide at the island by Edward I of England, as well as a horrific 16th century massacre that halted any idea of the use of the island as a strategic outpost, and may have laid the groundwork for its scant population today. I have just returned from a Game of Thrones tour in Northern Ireland which was fantastic! The scenery in county Antrim so breathtaking! And the Gian’s Causeway is definitely spectacular! I’ve never been to Northern Ireland but I would love to. Rathlin Island sounds fantastic, that’s my favourite on your list. I have been to Ireland but not Northern Ireland. I would love to visit some day. Sounds great. I’ve always wanted to visit any part of Ireland. Would love to go see all the Game of Thrones backdrops and areas! Northern Ireland is not too far from where we live but so far I only managed to see the giants causeway multiple times and Belfast.